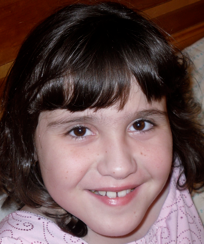 Hi my name is Elyse and I was born with a Congenital Heart Defect (CHD), Transposition of the Great Arteries (TGA). In layman's term my Aorta and Pulmonary artery were transposed. Below is a picture of my heart during surgery. Caution, this picture is graphic... If you have a weak stomach, don’t scroll down! I was born December 20, 2000, weighing 6lbs 8 ozs. I was born at 35 weeks and three days. I guess I was in a hurry to be born. I wanted to celebrate Christmas 2000. My father says it was all about the tax break. We'll talk about him later! The purpose of my site is to join the CHD Webring and help bring awareness to CHD. Everyday so many kids like me are born with some type of CHD which may or may not require heart surgery. I will share with you some of my pictures that Dad took as I recovered from my surgery. Lucky for me I had Dr Redmond Burke and his miraculous staff who did my surgery. This staff works at Miami Children's Hospital, located in Miami, Florida. 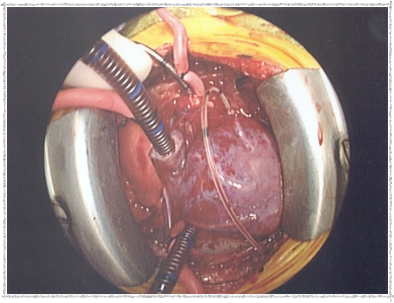 My heart, really, this is my heart during surgery. Notice it is not beating. Amazing what Dr. Burke can do!